Established in 1959, today, AIB has 3598 members in 95 different countries around the world. Members include scholars from the leading global academic institutions as well consultants, researchers, government and NGO representatives. We welcome individuals and institutions from developing countries, newly industrialized countries, as well as industrialized countries to join AIB. The Academy also has 18 chapters established around the world to facilitate networking as well as the facilitation and exchange of knowledge at a more local level. The 2019 Annual Meeting will take place in Copenhagen, Denmark on June 24-27, 2019. The 2018 Annual Meeting was held in Minneapolis, USA. Dr. Tomas Hult is Professor, Byington Endowed Chair, and Director of the International Business Center in the Eli Broad College of Business at Michigan State University. 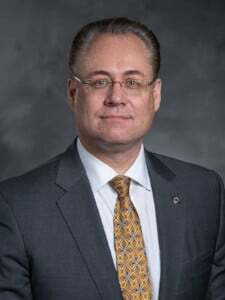 He is also Executive Director of the Academy of International Business (AIB), President and Board Member of the Sheth Foundation, and serves on the U.S. District Export Council.